The most advanced edge grinder for professional users. Switching to an HTC 270 EG means that the time spent on edge grinding can be seriously reduced for any contractor. 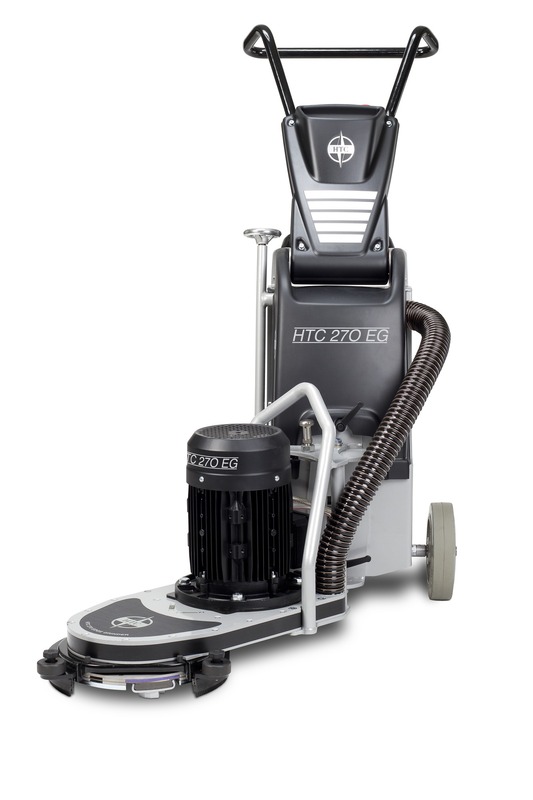 We are confident to say that the HTC 270 EG is the world’s first professional edge grinder. The core focus in HTC’s product development has always been ergonomics, economy and ecology and the HTC 270 EG is no exception. The machine is advanced, yet simple to use with many different configurations, and this enables more controlled and ergonomic edge grinding. Height of grinding head, only 100 mm. Frequency control and “overload” light allows full control of grinding. Ergonomically designed with many handle positions. Easy to set grinding head towards both left and right grinding. Grinding head adjustable in three angles. Optimised centre of gravity for best stability. Floating cover that follows the floor at all times. The EZchange system gives access to HTC’s complete tooling range. Detachable chassis for easy transportation.